The good news is that the Houston Rockets have pushed the Golden State Warriors to the brink of elimination and are up 3-2 in the Western Conference Finals. That news is very, incredibly, unpredictably good. The bad news is that Chris Paul is hurt, seemingly with a hamstring injury of unknown severity. That news is very, blindsidingly, joy-robbingly bad. 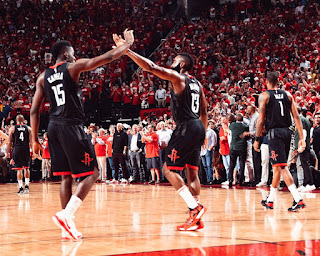 Despite grabbing the biggest win of the last twenty seasons, the Houston Rockets still face a massive uphill struggle. There can never be peace in Houston Sports. The Golden State Warriors played like trash. Or, perhaps, the Houston Rockets convinced them to do so. Maybe they even missed the play of Andre Iguodala. Likely it's all three. Whatever the cause, the Warriors continued to play just as Houston hoped they would, leaving an opening for the Rockets to win this game. On the other hand, the Rockets left the Warriors an opening themselves. James Harden shot 0-11 from three point range. Let's go over that one again: James Harden took 11 three point shots, which is fairly normal for him, and he hit exactly 0 of them. In the first half, the whole team shared this disease, and only hit 3 three-point shots by halftime. The Rockets would sink 10 more in the second half, but still only shot a dismal 30% on the night. Their overall field goal percentage was only 37%, an astonishing figure for a win against the reigning champs and likely best team in the league. 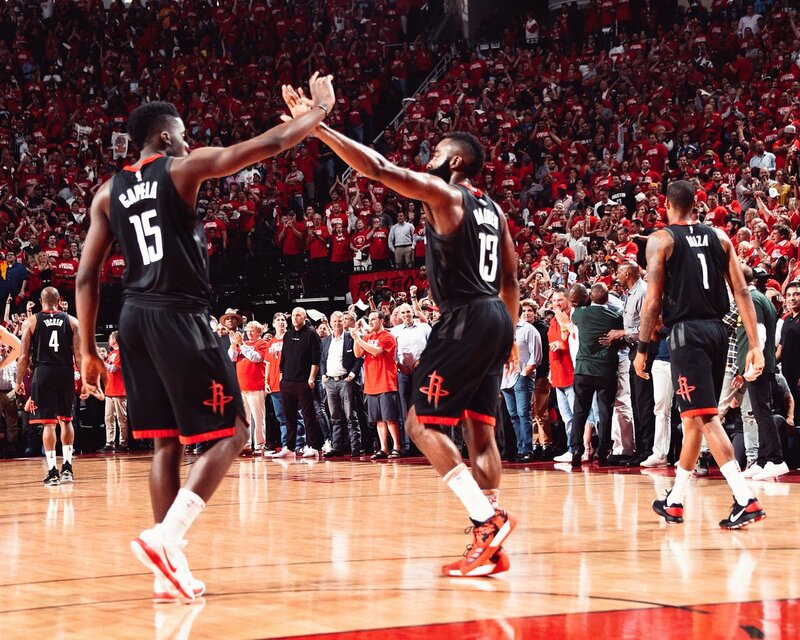 The Houston Rockets have been proving everyone wrong and surprising the world in this series. Harden has been an incredible defender much of the time, and mediocre on the offensive end. Clint Capela has kept himself from being run off the court with the quality of his play, but also hasn't been in the crunch time lineups. The Rockets have been able to hypnotize the Warriors into playing ugly isolation ball, and have turned the series into a grinding, miserable rock fight that they are able to win. Chris Paul has been the best player on the team. Most surprisingly, they found a way to go up 3-2 on the Warriors and still be the underdogs in the series. Every day in this conference finals is a new chance to have everything you think you know about the NBA pulled out from underneath you. This is at once incredible and exhilarating and a sickening gut punch. If you think you know what's going to happen next, experience suggests you absolutely don't. The Rockets will re-evaluate Chris Paul tomorrow morning, and in doing so re-evaluate the entire season. They are a mere one win from returning to the NBA finals for the first time since 1995. They have never been closer, and yet the gulf is widening as they move forward. There's nothing to do now, but to play out the games. At this point, we are in uncharted territory. Anything can happen, for better or for worse.